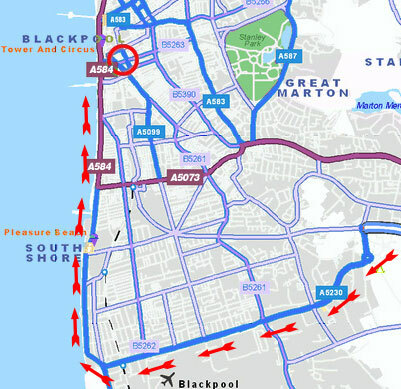 Leave the M55 at junction M55/J4 and left at the round about on to the A5230 direction [A5230] SOUTH SHORE, LYTHAM ST ANNES via [B5261], MAIN PARKING AREA, INDUSTRIAL ESTATES. Continue straight, on to the A5230 (Progress Way). Continue straight, on to the B5262 / A5230 (Squires Gate Lane). 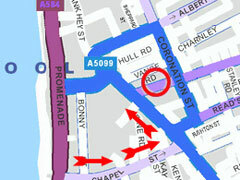 Turn right on to the A584 (Promenade). Turn Left at the end of Chapel Street.